FedEx was one of the companies that pioneered package tracking and tracking capabilities, and over the last 4 decades, it has constructed an impressive portfolio of innovative solutions as well as a massive infrastructure connecting customers in over 220 countries. Founded in 1971, in Little Rock, Arkansas, FedEx is based on Fred Smith’s term paper as a Yale Undergraduate. He outlined a system that would cater to the time-sensitive and urgent nature of certain shipments. By 1973, the company had relocated to Memphis Tennessee and two year later, it had already installed its first drop box. The company has managed to ship some mind-boggling packages, most notably, the four-ton high press water drill used back in 1987 to rescue 18-month-old Jessica McClure, who had fallen into her aunt’s backyard well. It provides its customers with a variety of products, such as express mail and post-delivery, freight forwarding as well as third party logistics. Today we will talk about FedEx Package Tracking options. As one of the pioneers of package tracking technology, FedEx offers multiple tracking solutions for the convenience of its customers. Whether international or domestic shipment, you can always track a FedEx package and its status by entering one of the following: Tracking number, reference or by using the company’s Advanced Tracking Option. You should be able to find the tracking number on your receipt, however, if you do not have it at hand, you may always contact the shipper and they will provide you with the required information. You can track FedEx package status and whereabouts by accessing this page. On your receipt, you may find the tracking number listed as a “reference number” or it may appear as the “transportation control number” on your shipment confirmation. This tracking number will be no longer than 30 characters. Much like tracking your shipment with the help of a tracking number, you may also use your reference number or FedEx InSight to gain further information as to the location of your package. The InSight service provides current and relevant status information such as shipment delays, location, status, etc. Frequent FedEx customers also have the possibility of signing up for additional tracking methods, such as the FedEx Desktop app (especially for business purposes) or the mobile apps for Android, iPhone and Blackberry. The Mobile app allows customers to, not only track a FedEx package or shipment, but also change deliveries, schedule pickups and get rates directly from the phone. Accessing the app’s services requires a FedEx account, though. With the help of your reference number or your tracking number, you may also receive the proof-of-delivery. In certain cases (such as shipment forms like FedEx Express, FedEx Ground, FedEx Freight) you can even obtain an image of the package recipient’s signature and the FedEx Freight Bill of Landing copy. To gain access to this information, simply add your reference or tracking number in this form. 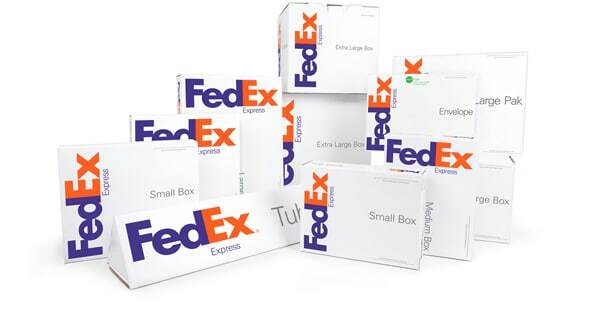 FedEx offers multiple delivery options to suit your every need. Same-day delivery options, for instance, are possible within hours cross country or cross city with FedEx SameDay and SameDay City. Three shipment options offer next-day delivery: FedEx First Overnight (your mail is delivered first thing the next business-day morning), FedEx Priority Overnight (delivered the next business-day morning) or Fed Ex Standard Overnight (when your mail arrives on the afternoon of the next business day). You may also opt for 2-3 business day delivery options or other ground delivery options where your packages arrive within the following 7 business days. What can you do if the FedEx Package doesn’t arrive on time? The first step when delays occur is to check the status of your package by using your tracking or reference number. Usually, the tracking reference will inform you as to the package’s most recent tracking information. If this fails, you may always contact FedEx for further assistance at 1-800-GoFedEx (1-800-463-3339). Note that delivery times may vary in accordance to the service type you have chosen. For instance, FedEx Express delivery times are between 8AM and 6PM, while FedEx Ground should arrive between 8AM and 7PM Monday through Friday. FedEx Home Delivery, on the other hand, delivers between 9AM and 8PM Monday through Friday and Saturday between 9AM and 3 PM. Be advised that, as stated in the Sale of Goods Act, packages are required to be delivered within a reasonable time, so you are in your right to ask for a refund if this does not occur. This concludes our FedEx package tracking guide. We hope it has cleared the air for you regarding some unfamiliar terms. 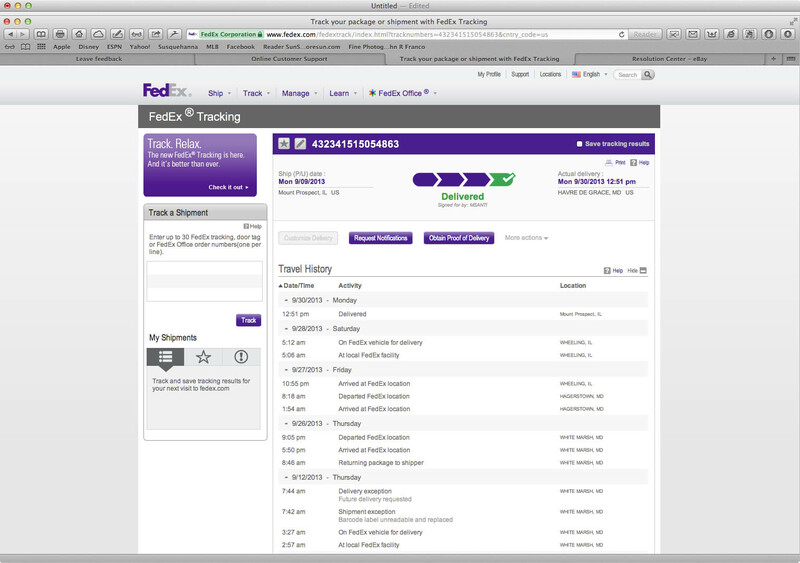 Hey Buddy!, I found this information for you: "FedEx Package Tracking Tips & Tricks". Here is the website link: https://all2door.com/fedex-package-tracking/. Thank you.